Former Arizona Wildcats linebacker Cody Ippolito has transferred to Utah. Ippolito enrolled at the school last week. He is seeking a sixth year of eligibility after missing two full seasons and most of last year because of knee injuries. Utah already has begun that process with the NCAA, according to a source close to the situation. Ippolito committed to Utah as a senior at Scottsdale Chaparral before landing at Arizona, where he accumulated 80 tackles, including 10.5 for losses, in parts of three seasons. Ippolito started five of the first six games in 2016 after missing the ’15 season because of a knee injury. He suffered another season-ending knee injury in the sixth game at Utah’s Rice-Eccles Stadium. Despite multiple ACL injuries – three at Arizona and one in high school – Ippolito is expected to make a full recovery and be able to contribute for the Utes next season. 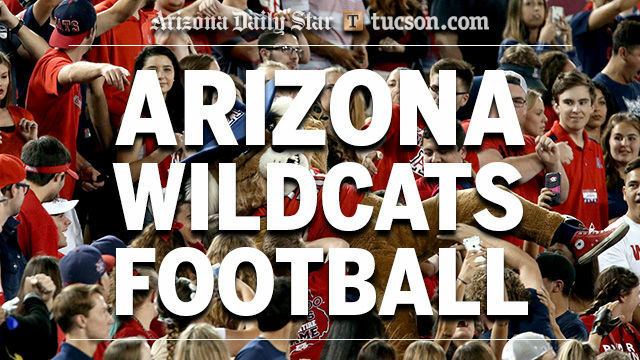 Ippolito wanted to play his sixth year at Arizona, but Wildcats coach Rich Rodriguez had reservations about Ippolito playing again after multiple knee surgeries. Rodriguez agreed to grant Ippolito his release without restrictions, which enabled him to transfer to a Pac-12 South rival. Utah listed two juniors atop its season-ending linebacker depth chart: Sunia Tauteoli and Kavika Luafatasaga. The Utes primarily play a 4-2-5 defense. In other linebacker news, John Kenny, who had 39 tackles in 12 games (four starts) for the UA last year, is no longer with the program. Kenny transferred to Arizona from Iowa, sat out the 2015 season and played the ’16 season as a walk-on. A redshirt junior last year, Kenny is getting his degree and moving on to other opportunities. It is believed that Kenny would have remained at Arizona if the school had offered him a scholarship. The Wildcats will have an almost completely rebuilt linebacking corps in 2017 under new position coach Scott Boone. The five leading tacklers among linebackers – Paul Magloire Jr., Michael Barton, Kenny, Jake Matthews and Ippolito – are no longer with the team. Among the returnees, only senior DeAndre’ Miller has any substantial experience. Star reporter Zack Rosenblatt is counting down Arizona's recruits in the weeks leading up to signing day. What's going on with Arizona Wildcats commit Braxton Burmeister? An update on the Braxton Burmeister situation. The first in a series of UA's recruits for this season. Running back sticking with nine-month commitment to the UA. He arrives in Tucson on Sunday.